I wrote on this before and I hate it that I am doing it again because it makes me feel like a conspiracy theorist, which I am not. I read today two different items one arguing that Omega-3 supplementation has no benefit and another arguing that taking Vitamin D supplements have no benefit. While both articles are referenced when I tracked down their references I found questionable sources for the authors to come to such definite conclusions. In stead of taking supplements the authors promote drug therapies such as cholesterol and high blood pressure medications to mange illness and disease. In my opinion these articles are written to tear down the idea that we can manage our own health without drug intervention. I hate thinking there is an concerted effort to damage natural alternatives to medicine but the medical community has done just this throughout history. The first article I read on vitamin D started out by quoting a study that recommends physicians to not screen for Vitamin D deficiency due to a lack of evidence that vitamin D has health benefits and the cost for testing, in their view, was dollars which could be spent elsewhere. Perhaps on cholesterol medications? The article went on to quote a study that found vitamin D didn’t protect the elderly from suffering falls. They didn’t, though, quote any articles that found vitamin D didn’t improve cardiovascular health. They then go on to discuss that taking too much vitamin D could be toxic, which is true, even water in too great of an amount can kill us. It is a completely ridiculous article and the only purpose is to create doubt in the minds of the physicians who read it, in the benefits of taking vitamin D supplementation. Benefits such as lowering your risk for developing metabolic syndrome. In a recent study, nearly 58 percent of postmenopausal women with insufficient or deficient vitamin D levels had metabolic syndrome, prompting researchers to recommend vitamin D supplementation to lower incidence of the condition. Metabolic syndrome is characterized by a cluster of factors, including low HDL cholesterol, high triglycerides, large waist circumference, high blood pressure, high blood sugar and/or insulin resistance. Seems like a good reason to take your vitamin D.
The second article was an editorial type piece in Journal of the American Medical Association, an organization not known for being open to non-medical or alternative treatments. The author comes to the conclusion that taking marine based Omega-3 fatty acids has little to no health benefits. While the author quotes one very large study published in the Journal of the American Medical Association (coincidence?) she ignores the vast amount of studies which say otherwise. This author doesn’t discuss the importance Omega-3 fats play in our cellular function and how we can only get Omega-3 fats from a source outside of our body because our bodies cannot make Omega-3 fats. This is way Omega-3 fatty acid is called an essential fat, we need to get it from some source. 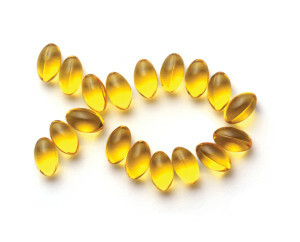 Fish oil is very high in Omega-3 fats and is therefore a very efficient source. Interestingly enough a different, recent study found that serum Omega-3 levels were a better predictor of cardiovascular disease and mortality than serum cholesterol levels. Research funded by the National Institutes of Health highlights the importance of your omega-3 level to your heart health and overall well-being. The new study, published in the Journal of Clinical Lipidology, looked at the value of measuring blood levels of omega-3 fatty acids to assess your risk for developing certain diseases. The researchers found that a higher omega-3 index was associated with a lower risk for total number of cardiovascular disease events, total coronary heart disease events, and total strokes. It is a smart idea to get some source of Omega-3 fatty acids in our diet and while we can get it from our food it is easier to get it from a supplement. Over the years I have laid out some of the research that exists to support my understanding that supplementation with Vitamin D and Omega-3 fatty acid is important for our health. I have read far more studies which support their use than show no benefit. Reading articles like these two which try to show there is no benefit flies in the face of the volume of data which say otherwise. These articles read like an attempt to discredit alternatives to drug therapy, something I take no pleasure in writing. There is a time and a place for drug therapy to be necessary but some of the most commonly prescribed drugs have alternatives through proper diet and taking supplements.